Get a guilt-free chocolate fix! 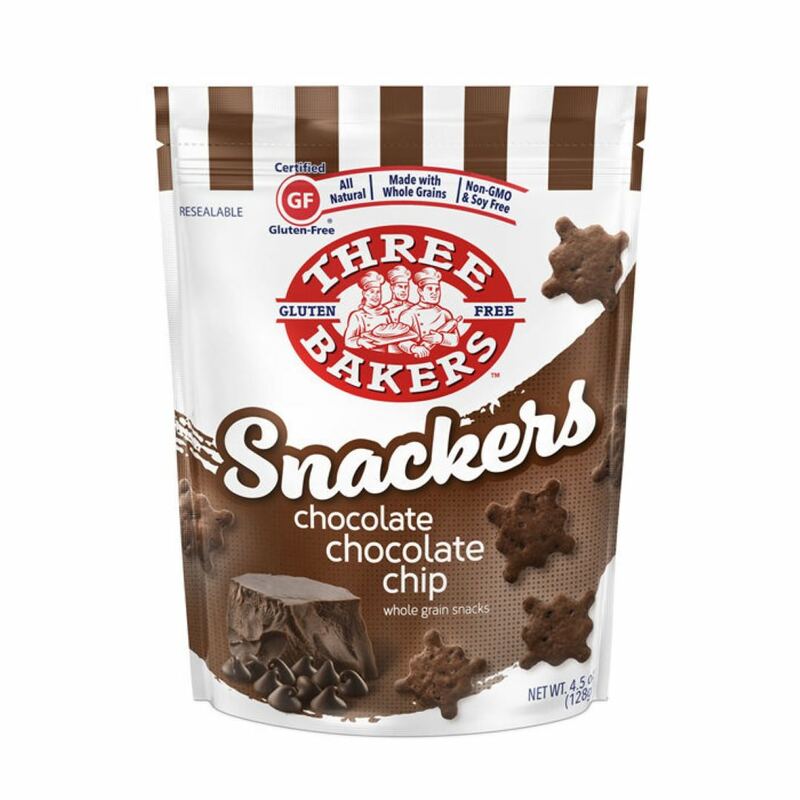 Our decadent chocolate treat, Chocolate Chocolate Chip Snackers, is made with all natural cocoa and chocolate chips to make gluten free chocolate lovers everywhere rejoice. With about three heaping handfuls per serving you’ll be remarkably satisfied, and with only 90 calories, 5 grams of fat and 4 grams of sugar per 1 ounce serving of 22 Snackers, your chocolate fix just got that much better. Compare that to a leading gluten free chunky chocolate chip cookie with 170 calories, 9 grams of fat, 14 grams of sugar per serving of just 2 cookies. So share Chocolate Chocolate Chip Snackers with your kids (or not, we won’t tell) and be confident knowing that this super chocolatey treat is both delicious and healthy with whole grains and all non-GMO ingredients.